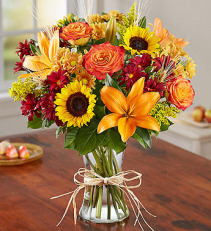 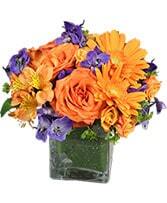 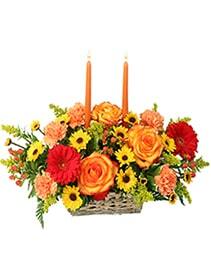 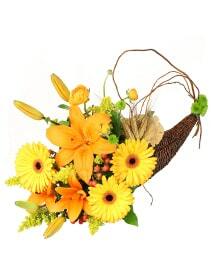 Beautiful Autumn bouquet inspired by colorful fresh picked flowers. 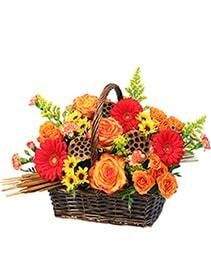 Revealing the rich beauty of fall! 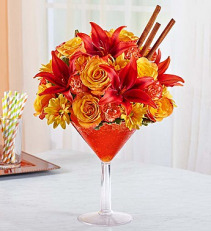 A fun way to spice up your party. 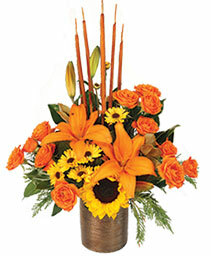 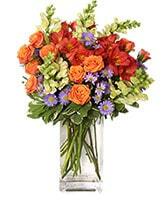 Beautiful fall roses, lilies and cinnamon sticks are arranged in a delightful oversized Martini glass. 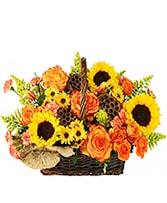 A colorful and unique way to share your sentiments. 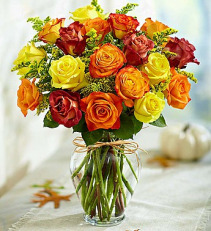 This is awe-inspiring collection of magnificent Autumn colored roses and solidago in a classic vase tied with raffia. 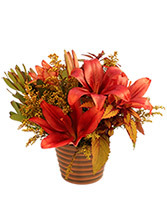 The beautiful colors capture to warmth of the season and will bring delight to any room.